It’s a stretch to say that Blake started training with kettlebells because of a traumatic brain injury he suffered in 2011. But it’s not a stretch to say that the Redmond native credits kettlebells with helping him ultimately recover from it. A 21st birthday celebration at college ended with Blake falling over a ledge, landing face-first on concrete, and being airlifted from Ellensburg to Seattle’s Harborview Hospital with a battered and bleeding brain. He spent two weeks in the hospital, two days of which he was in a coma. Today, seven years out from his near-death experience, Blake still relies on kettlebells for both physical and mental wellness. 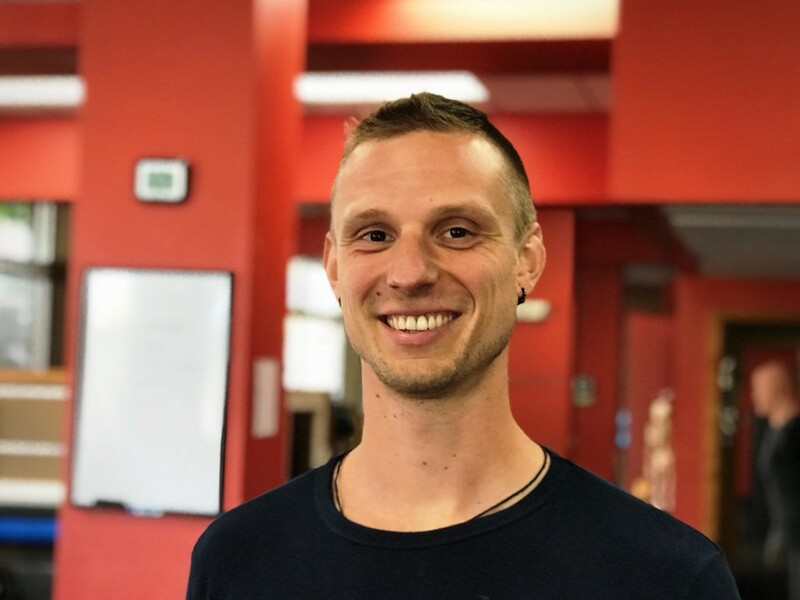 To help keep others’ “whiney minds” at bay, Blake will soon be offering Kettlebility students a class that marries his love of both kettlebells and yoga flow. Blake’s certifications include StrongFirst SFG1, FMS Level 2 and First Aid CPR/AED. Blake also earned his 200-hour yoga instructor certification. Graduating (college) on time after my traumatic brain injury and giving the commencement speech at graduation. I knocked off a lot already! But more traveling, living abroad and becoming a StrongFirst Master Instructor. Everything that happens is the best possible thing that can happen.